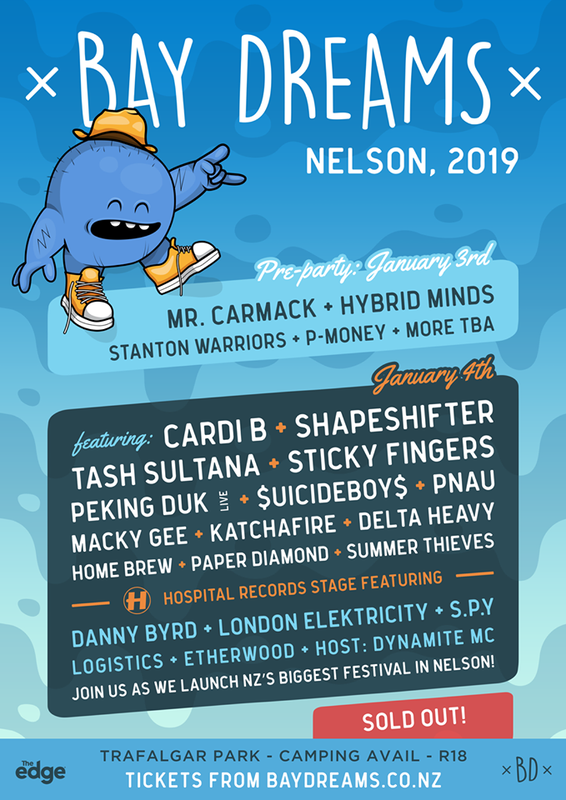 Bay Dreams has established itself as New Zealand’s biggest festival, selling out year after year. And now with the event being held across two islands, and close to some of the best beaches and holiday hot spots in the world, it’s gearing up to be the highlight of the Kiwi summer. Both locations now boast two main stages for the first time. 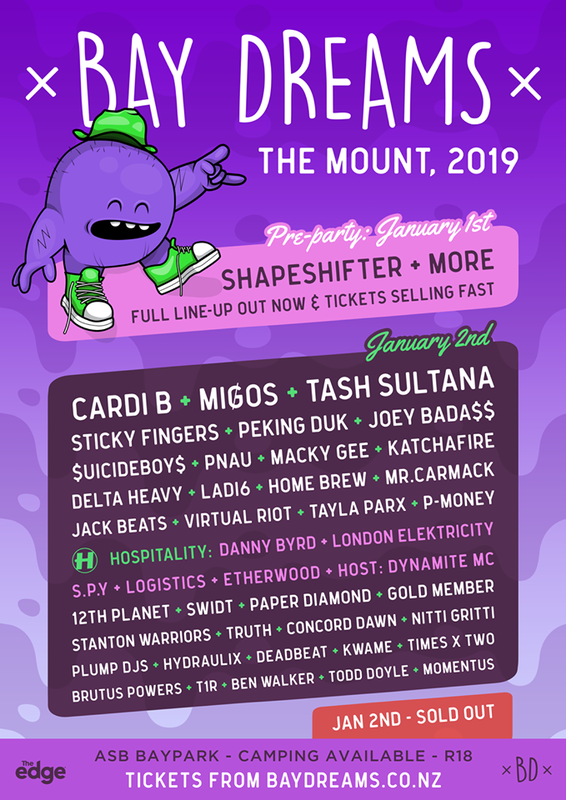 The Mount event kicks off on January 1 with a pre-party, featuring Shapeshifter, Mr Carmack, L.A.B and more to be announced. The main festival day, on January 2, boasts Tash Sultana, Sticky Fingers, Peking Duk (live show), $uicideboy$, Macky Gee, Pnau, Home Brew, Katchafire, Delta Heavy, Ladi6 and 12th Planet. Adding to the excitement for those more bass-inclined, is the Hospital Records stage takeover, featuring Danny Byrd, London Elektricity, Spy, Logistics, Etherwood, MC Dynamite, and guests. Other acts across the monster line-up include Virtual Riot, Mr. Carmack, P-Money, Nitti Gritti, Truth and Times x Two.